As most of you know by now, I’m a huge fan of Mission AthleteCare! Their motto is to Perform, Protect & Rehab. Perform – Enhance performance during competition! Protect – Combat elements before competition! Rehab – Restore body after competition! Those are things which I can really get behind, particularly when their products are formulated to not only to work for you NOW but also in the future by being paraben free. If you are not familiar with the paraben issue, my friend Bridgett has broken it down into laymen’s terms HERE and uses ScienceDaily as a reference. If I understand it correctly, many scientists are concerned about parabens causing health issues including breast cancer. More information and scientific detailed reports on the Eves-Best & Livestrong websites. The paraben issue is enough of a concern to make me pay attention to the ingredients in products I buy and be thankful when I come across paraben free items. I’d personally rather be safe now than sorry later. I have randomly written about Mission AthleteCare products multiple times in the past as I stumble across a new favorite and I have even given way items out of my personal stash for the Favorite Training Items Giveaway. More recently, I talked about the Mission Athletecare EduraCool Towel which Aby and I are still fighting over. You can read that post HERE. I actually read a review on it from another blogger yesterday who didn’t think it was that “cool” but then she also mentioned she lived in a no humidity area. Our towel, that we use in the Midwest, is awesome, stays cool for hours and we find it very refreshing. The fact that it is reusable, washable and big enough to fight over is just a bonus! I am also in love with the 5 Hour AntiChafe Stick which I am now using exclusively to combat the infamous chub rub. This product is smoother than some of its competitors, goes on very easily, does not crumble and stays on for hours under very nasty hot and sweaty conditions. The sticks is $9.99 and I have 2 for the giveaway! I use it for running, triathlon and keep one in my purse for skirt/short days. 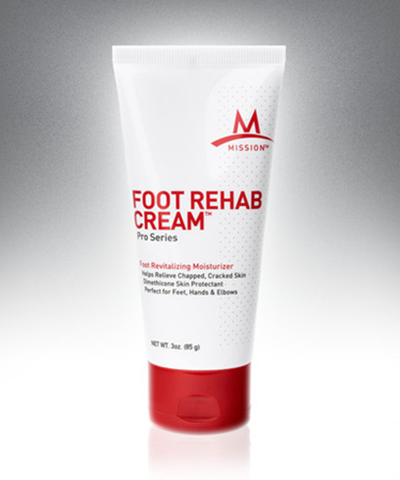 The Foot Rehab Cream is a new product to me. It has a light peppermint scent that I love, tingles slightly upon application and helps the feet repair from those long/frequent training runs. This is also a good product if you are in sandals all day, every day and your feet take a beating. The kids and I love this one and hubby is thankful that it’s not nearly as stinky aromatic as the Burt’s Bees Peppermint Foot lotion that he always complains about we used before we received this. The Foot Rehab is $9.99 and I have 2 to giveaway. 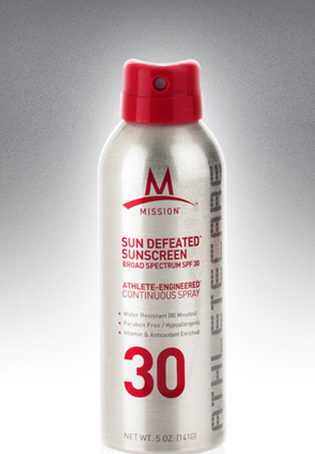 We also just recently ventured into the Mission Athletecare Suncare line. We use so much sunscreen that I should buy stock. Skin Cancer runs in my family so we use it liberally, we frequently reapply, then reapply again. We are constantly outside, at the pool or on the lake and go thru as much as a large spray can of sunscreen (or more!) a day. However, I keep buying different brands because I can’t find one that we like. My biggest complaint is that the sunscreen burns our eyes and is greasy and/or sticky. For a family that runs & plays hard, sunscreen burning the eyes is just not an option but I haven’t been able to get around this problem. One of the Mission ads, below, specifically identifies the problems with sunscreens “stinging eyes, clogging pores, leaving hands greasy” but I was still a little skeptical. We tried both the Kids Continuous Play SPF 70 and the Sun Defeated SPF 30 which both retail for $9.99 per can. The kids loved this stuff and there was no saving it for a “special” occasion because every time they got called in for sunscreen, Aby would demand that I use the Mission because it didn’t burn her eyes. Ummm….Okay. She didn’t know anything about what it should or shouldn’t do but knew that’s the brand she wanted. That’s as good of an endorsement as I can possibly give so after we use up our current stock of randoms, it will be all Mission sunscreen for us. The applicator worked well, didn’t spray too hard and the spray dried immediately without leaving a sticky film. This was a big win for us! 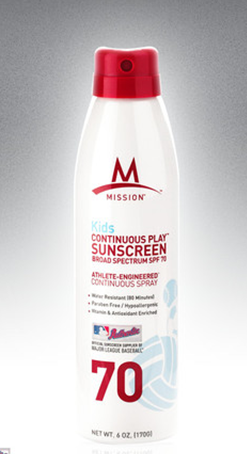 I have 2 cans of Sun Defeated SPF 30 and 1 can of the Kids Continuous Play SPF 70 to give away. This totals 7 items available to win! So let’s get some winners! I will pick 7 winners via a random number generator on Tuesday, August 14th at 9am. In order to be entered in the giveaway, please do one or all of the following then make one comment below to let me know what you did. In all there is a possibility of 10 entries. Good luck and please share the giveaway to throw some love Mission’s way for being so generous! If you want to try a few Mission AthleteCare products use the 20% off coupon code: TooTallFritz20 I won’t make any $, you will just save some! Coupon code good thru August 30, 2012. This entry was posted in Giveaways, Product Reviews, Running, Triathlon and tagged Mission Athletecare, Mission Athletecare 5 Hour Anti-Chafe Stick, Mission Athletecare Discount Code, Mission Athletecare EnduraCool Towel, Mission Athletecare Foot Rehab Cream, Mission Athletecare Kids Continous Play, Mission Athletecare Sun Defeated, Mission Athletecare Sunscreen, paraben concerns, paraben free by tootallfritz. Bookmark the permalink. I would love to try/win the sunscreen and the towel. Thanks! I “like” Mission Athletecare on Facebook, wrote on their FB wall that TTF sent me the Anti-Chafe Stick (which I love) and follow them on Twitter. As you’ve probably seen my sweat trails out on the OPT…I’d love to try out the cooling towel…or the Foot Rehab Cream…these dogs are barking with the miles lately! I’m always looking for more sunscreen. I might just have to cave and nab one of those towels! It’s a toss up between the foot rehab – have you met my Frankenfeet? and the sunscreen – I have uber sensitive skin though, so my concern is more over face itching rather than eye stinging. Liked Mission Athletecare on FB and let them know you sent me! I would love minty food cream or sunscreen! Thanks for this giveaway! I have been having major chafe issues on miles more than 8. I live in the Mountains of Colorado and would LOVE to try the stick! I would definitely love the sunscreen with my fair skin! I followed, like the Facebook page, wrote on the wall and tweeted and shared it on my sites! Alrighty TTF…I did the “Like” on FB, I wrote some comments about you and Mission Athletecare on their wall, and I posted to my FB wall about the giveaway and “shared” it. Gonna avoid the Twitter-thing cause I just don’t want to mess with anymore log-ons and passwords….LOL! The Foot cream seems like something neat to try. Rub-chub can always be useful. And I like the concept of that “Cool-towel” or whatever you call it and fight over with number one daughter. Frogger – I know you hate jumping thru the hoops but thanks for giving a shout out to Mission for their awesome generosity! I liked Mission on FB and started following them on Twitter. I would love to try the sunscreen and the towel. I now follow them on FB and Twitter, and i commented on facebook! I think i would want to try either the towel or the glidestick! I use their chapstick and muscle rehab currently, and its life-changing awesome! I followed Mission Athletecare on Twitter! I also liked Mission Athletecare on FB. And I posted on their FB wall saying that you sent me! I am not sure which product I’d rather try…it’s probably a tie between the foot cream and the anti-chafe…both look amazing! Thank you for this giveaway! I like Mission and posted on their wall you sent me and shared this on Facebook! I would like the ANTI-CHAF Stick!! I follow Mission Athletecare on twitter! My feet are always sore, so I’d like to try the foot cream! I liked Mission on facebook. I posted on their wall that you sent me. I would LOVE to try the towel. 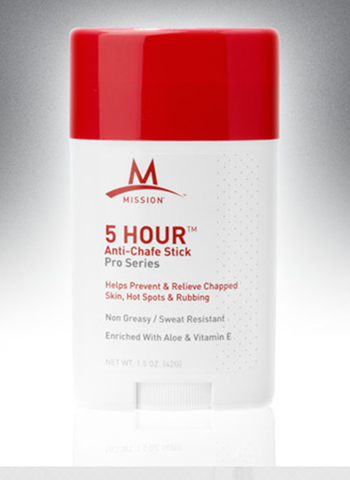 I liked Mission Athletecare on FB, posted about them on my FB wall, told them you sent me, and I would LOOOOOOVE some of that anti chafe stick. I liked them on fb, wrote about you on your wall, left you a comment, and wrote about you on my fb wall. I’m an Athletic Trainer at a high school in Gilbert, AZ! It gets super hot here and football is underway. My boys are so sweet and always help me out. I wish i could get some cooling towels to help cool them off during practice and games! It would mean so much to them! I am willing to write as many reviews as i need to support and promote your product if it would help to get your name out there. You guys are great! thanks for the opportunity!! I did it ALL!! please help my boys!! 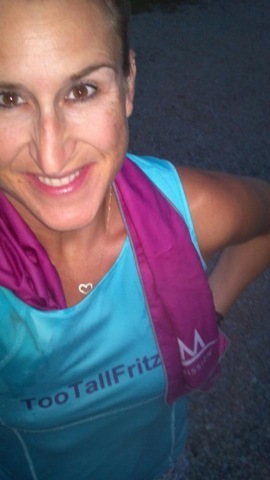 Lindsay – Contact Mission Athlete, they are really great! This giveaway is from 2012 so I can’t help you. I’m sorry!